both as a cost-effective step to manage energy costs, and also as a visible and tangible tool to reduce a building’s carbon footprint. 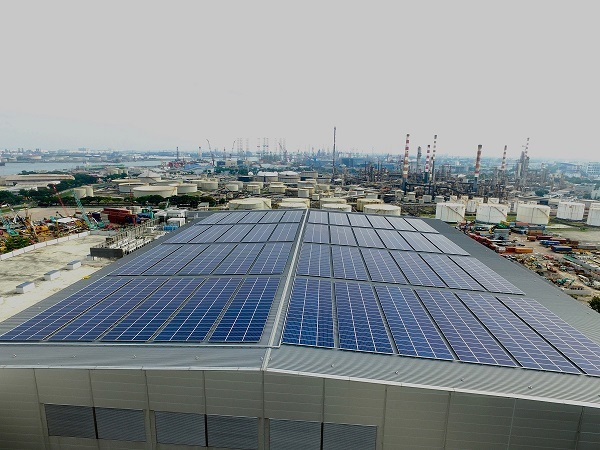 Across all of Asia, on-site solar-as-a-service has achieved grid parity, in other words it can save OPEX for the building owner without costing him any CAPEX. Why a solar-ready roof for your new facility? When planning or designing a new facility, be it a manufacturing plant, warehouse or any other type of commercial/industrial building, a few simple principles will make the future deployment of a rooftop solar PV system faster, easier and probably cheaper. Not only will these solar-ready planning or design steps typically not add cost to the building, but they will make it even easier for you to run a competitive sourcing exercise for a solar PPA/leasing partner. As a result you can end up with a very competitive solar contract and have the entire solar CAPEX carried by your solar-as-a-service provider. When those designs tips are implemented, very good results can be achieved. 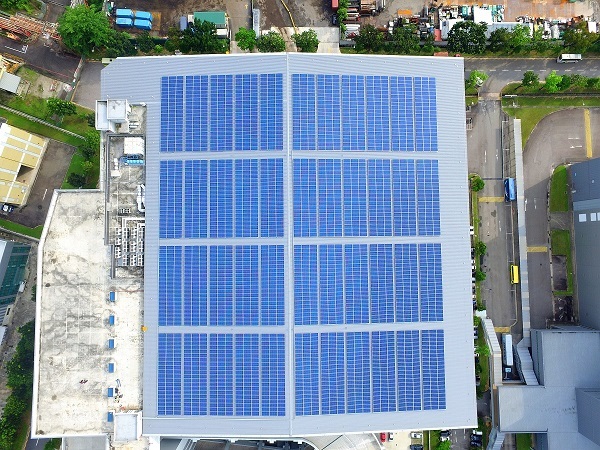 Cleantech Solar was able to deploy a 850kWp system with Kuehne & Nagel in Singapore in a record 93 Days from signing the 20-year agreement to turning on the solar system. 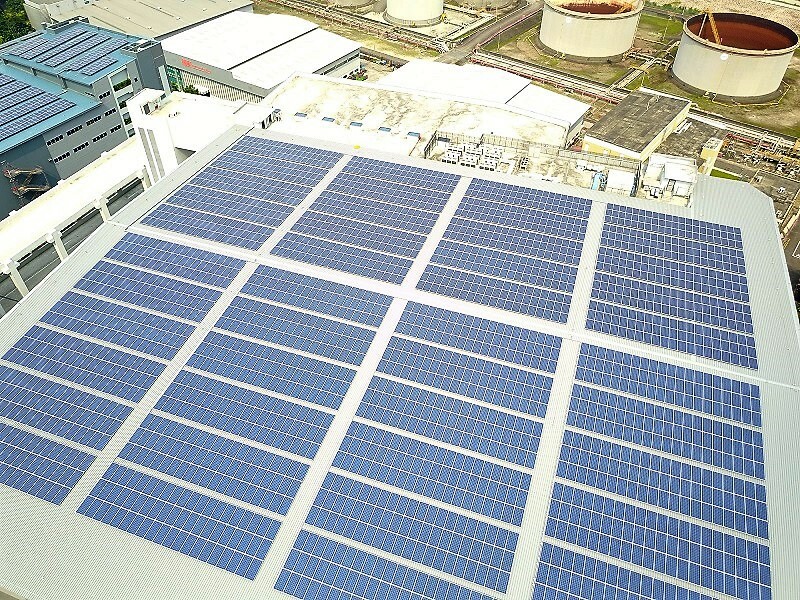 The Kuehne + Nagel Singapore team made sure the building was “solar-ready” and “solar-as-a-service” is the ideal extension to the logistics hub which was built according to highest environmental standards. Your roofing contractor will offer a roof warranty and it will be even much easier to request them to issue an “no-objection” commitment before issuing them the PO then after. A method statement for installation of the solar system can be issued on which basis the roofing contractor can confirm agreement. This can remove weeks of discussions and arguments. In order to reduce the time to connect the solar PV system to an absolute minimum, it is very useful to have enough space left which will avoid the requirement to add or modify the distribution boards. A good rule of thumb would be the provision of one spare breaker of 160amp per 100kWp of PV capacity (in other words per 1,000m2 of roof). If the option exists, it would make sense to size the space in your risers and/or cable runs from the LV electrical room to your roof such that space is left available for the solar cables. Two similar plants with similar dimensions and process equipment could have vastly different rooftop solar potentials. One could have plenty of tall, scattered stacks and exhausts whilst the other could have neatly arranged chimneys kept to the minimum height requirement. Shading is a challenge for solar and it should be eliminated as much as possible through initial shading analysis. In line with current industry standard, we recommend the use of modern standing seam-type roofing sheet profile of Klip-Lok type or equivalent. This allows the use of non-penetrating clamping solutions which make the installation and potential removal of the solar PV system easier, safer and faster. Contrary to popular belief, a building structure needs no particular strengthening for solar as typical live load design provisions (50kg/m2 up to 80kg/m2) are way in excess of expected solar load (15kg/m2). Rooftop solar is expected to become increasingly an obvious choice for new construction projects and simple steps can make a significant difference in the subsequent deployment of the solar PV system. Better to pre-empt those in due time before design freeze, so do not hesitate to reach out to us, we will be happy to assist.